An article came out last week about the initiative undertaken by Rabbonim, doctors and Askanim to highlight the issue of abuse in camp. In the article, parents were encouraged to take an active role in preventing this calamity from continuing in our midst by having frank conversations with their children before they go off to camp. Camp directors were called upon to focus on making their camps totally safe places for children. Unfortunately, stories of abuse do happen, more often than we think, and sometimes these terrible situations are sensationalized in the news or other online outlets, and parents are at a loss for how to approach these facts and how to be confident that their children will be safe in the camps they attend. The sheer volume of positive feedback received by ASAP, the organization leading the charge, over the past few years, for change in our camps, was simply overwhelming. Parents are stepping up to the plate, no longer being passive about this issue and really getting involved to demand absolute safety for their children. Many camp directors are also taking bold steps to ensure that no child is ever at risk of losing their innocence due to the more relaxed environment that camp affords. Amongst the numerous camps that have taken child safety seriously and adopted the ASAP program are Camps Munk, Stern, Dina, Dora Golding, Migdal, Nageela, Sdei Chemed, Yaldei, Shira, Yagilu, and Darchei Torah. A lot of the issues were mentioned, and many stories abound, but it is important to realize and remember that the ultimate purpose of this awareness is not to scare people; quite the contrary. The purpose is to educate the community to not wait until after issues arise, but rather to educate themselves – and their children – and be informed and proactive, and thus prevent these issues in the first place. The purpose of knowing the stories – some of which made it into the mainstream media – is to learn the lessons of complacency and know that with proper awareness and guidance of our children we can protect them. “I was abused by a counselor in my camp” says Chana, a survivor of abuse “and the trauma is with me for the rest of my life. Had certain protocols been in place then, the way they are now, thanks to ASAP, my life would have not been stolen from me in that bunk house”. 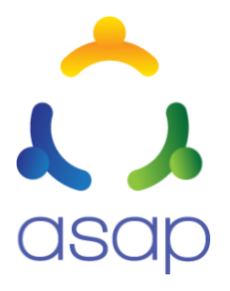 ASAP, a program developed by The Friedberg Foundation, has spent millions of dollars to fund therapy for hundreds of victims of abuse in the past couple of years, and are well aware of the ins and outs of this important topic, from all sides of the issue, and are thus qualified to lead this important campaign. It is for this reason that virtually all Rabbonim from across the spectrum of the frum world, as well as professionals from within the community, are supporting these efforts and encouraging parents to take a more active approach to ensure the safety of their children. “The beautifully produced videos effectively convey the key points that counselors must be aware of in understanding the potential negative impacts of abusive behavior as well as clear standards of appropriate behavior in interacting with their campers.’ Says Dr. David Pelcovits, noted psychologist, who is well aware of the many issues facing the frum community. The ASAP camp guidelines are very thorough and practical, and include items like safety protocols for camp directors, animated training videos and an exam for counselors, as well as information for parents. The goal is to keep every child safe and eradicate the root causes of abuse of our children by eliminating the situations that feed such abuse in the first place. Though all children deserve complete safety, additional resources and safety protocols are available specifically for children with disabilities who require more physical and intimate care as well as those with communication challenges, as their safety is significantly compromised. The camp guidelines and the requisite background checks of all camp counselors and personnel will weed out potential abusers and send a clear message to counselors, campers, and parents that the community is a lot more educated and aware than in the past and that will serve as a powerful deterrent to those who would harm our children that abuse is no longer tolerated. “I don’t want even one more child to have to suffer as I did” says Chana, “and the solutions are readily available, so long as parents and camp directors take them seriously. And they must take them seriously for the sake of the children”. Indeed, the ASAP approach is bold and effective and allows parents and cam directors to take the issue extremely seriously and eradicate the abuse in a concrete way. Prevention is not something to feel awkward about or fear; children must be armed with the information they need to have a safe summer.